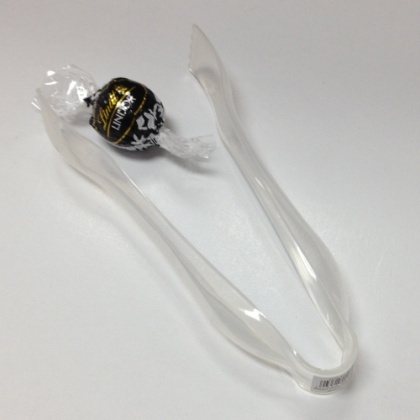 Clear plastic tong for candy buffets. Approx 6.25 inches long and 1 inch wide at the end of the tong. Shown with a Lindt truffle to give some perspective. 3 ct.